This was not the usual type of meet the author book signing; rather it was comprised of a number of separate tables for each author to meet with readers and discuss their books with the readers in a different fashion. Instead of a long program of several hours, each author on the program above got their own space and new readers could pick and choose which ones they wanted to meet. In this way the library was able to accommodate the many local authors who wanted to attend. Check your local libraries for these types of events. 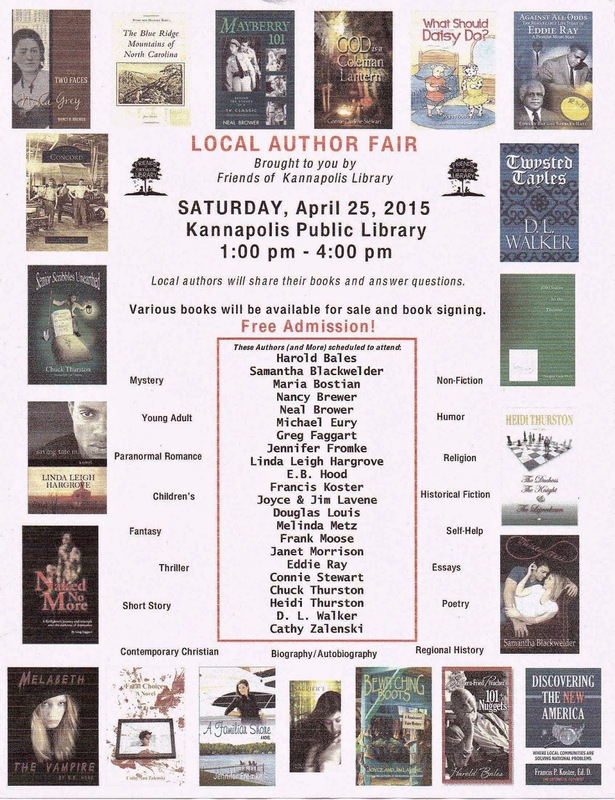 They offer a chance to meet with authors in a more relaxed setting than a book store signing. Somehow; even in this day and age; the library seems to lend them an extra level of legitimacy that cannot be found in a normal commercial environment.